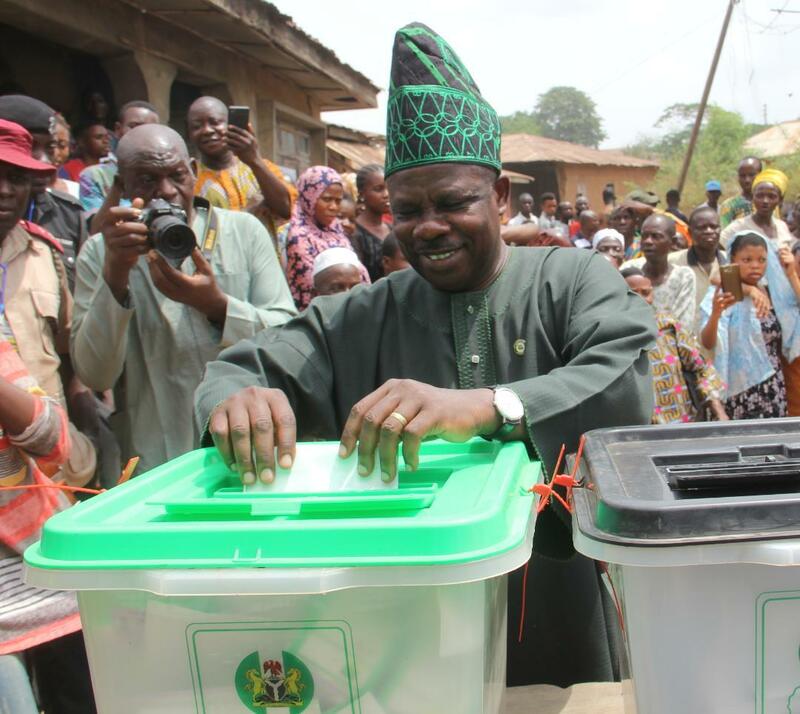 Ogun State Governor Senator Ibikunle Amosun has emerged winner of the Ogun Central senatorial seat on the platform of the All Progressives Congress (APC). Amosun, who was in the Senate between 2003 and 2007, was declared winner of the contest at the Ake Centenary Hall Ogun Central senatorial collation centre by the Returning Office, Professor Idris Akanbi. The governor polled a total votes of 88,110 against his close challenger, former Speaker of the Ogun State House of Assembly, Titi Oseni-Gomez of the African Democratic Congress (ADC), who polled 37,101 votes. The candidate of the Peoples Democratic Party (PDP), Apostle Biodun Sanyaolu, came third by polling 33,276 votes.